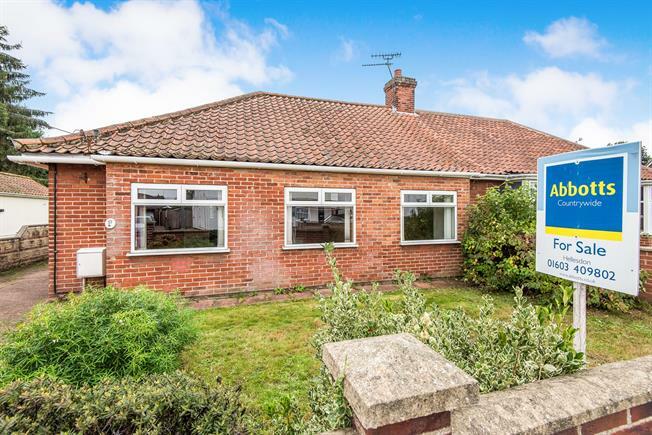 3 Bedroom Semi Detached Bungalow For Sale in Norwich for Asking Price £250,000. A three bed semi detached bungalow in need of some updating. The property offers three good sized bedrooms, lounge / diner, a kitchen/ breakfast room, family bathroom, multiple use reception room and a studio room above an old disused swimming pool. The property also has a shower room, storage area and both a double and triple garage. There is also a patio area of rear garden and a driveway with ample parking.